Navigating a lease contract for the new owner operator can be like tap dancing in a minefield and can ultimately make or break a new business. Realizing this, the FMCSA has addressed leases in the regulations to protect both parties. Knowing the terminology is first. Here are the important definitions. The person who owns the truck can be either the ‘owner’ or the ‘lessor’. The company the person is leasing on with is either the ‘authorized carrier’ or the ‘lessee’. If something is added to an existing lease, it is an ‘addendum’ and must be signed by both parties, lessor and lessee, to be in effect. An ‘escrow account’ is monies held by the lessee to cover expenses, taxes, claims and sometimes maintenance, or anything else agreed upon by both parties. ‘Detention’ is the time a trailer or equipment is held past the agreed-upon loading/unloading time. The strength or weakness of a lease is in the detail. It is always best, if an owner has an attorney who is experienced in transportation issues, to have said attorney check over the lease before signing. The other options are to have the Owner Operator Independent Driver Association (OOIDA) go over it if the owner is a member, or have a very successful, long-time owner operator friend check it over before signing. If none of those will work, then make sure you yourself read every word and understand what everything means to you, and do not sign the lease until you know what it means and you agree with everything in it. A lease has some specific requirements under the regulations. It may not be signed by anyone other than the owner, company or their authorized representatives. For instance, if the owner has a driver assigned to the truck, that driver may, with proper authorization, sign a lease. However, without it, the driver may not re-lease the equipment at his/her will to a new company. 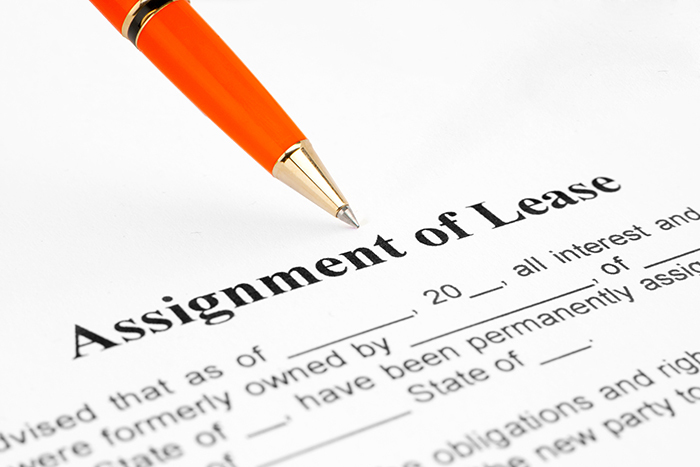 The ‘Exclusive Possession and Responsibilities’ section lays out whether the lessee has the right to sublease the equipment while it is under lease to them. “Many times the company stalls on paying the prorated base plate refund. 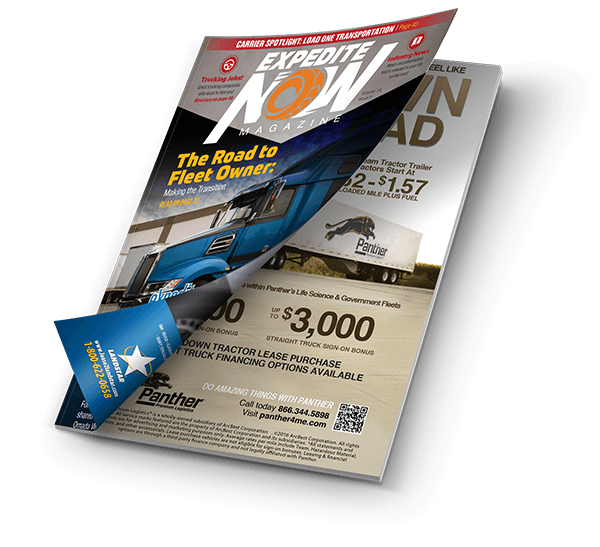 An owner operator needs to make sure that the time period the prorated amount to be paid in should be specified in the lease, such as within 30 days,” Jerry said. ‘Payment Period’ should be self-explanatory but it has set parameters. “The lease shall specify that payment to the lessor shall be made within 15 days after submission of the necessary delivery documents and other paperwork concerning a trip in the service of the authorized carrier. The paperwork required before the lessor can receive payment is limited to log books required by the Department of Transportation and those documents necessary for the authorized carrier to secure payment from the shipper.” This section also covers how the signage, if any, or identification equipment should be taken care of when the lease is terminated. The ‘Charge Back Items’ section requires that anything paid for by the lessee and is deducted from the lessor’s compensation be documented both in the lease, and with receipts and price breakdowns to prove the validity of the charges. Furthermore, damage and claim deduction amounts have to be clearly stated within the lease. Documentation of the damages or claims must be made to the lessor before any money can be held out. The ‘Insurance’ section covers the insurance requirements within the regulation 49 U.S.C. 13906. No matter who pays for what types of insurance, for instance bobtail insurance, the other party is required to have proof of the policy and policy information. If the lessee is to pay for any insurance by withholding it from the lessor’s compensation, then this has to be clearly stated and agreed upon by the lessee. Jerry states that ‘Escrow Accounts’ are the reason for most of the lease-related calls that OOIDA’s compliance department receives, “Most people do not understand escrow accounts.” He says. ier shall provide an accounting to the lessor of any transactions involving such fund. The carrier shall perform this accounting in one of the following ways: (i) By clearly indicating in individual settlement sheets the amount and description of any deduction or addition made to the escrow fund; or (ii) By providing a separate accounting to the lessor of any transactions involving the escrow fund. This separate accounting shall be done on a monthly basis. (4) The right of the lessor to demand to have an accounting for transactions involving the escrow fund at any time. (5) That while the escrow fund is under the control of the carrier, the carrier shall pay interest on the escrow fund on at least a quarterly basis. For purposes of calculating the balance of the escrow fund on which interest must be paid, the carrier may deduct a sum equal to the average advance made to the individual lessor during the period of time for which interest is paid. The interest rate shall be established on the date the interest period begins and shall be at least equal to the average yield or equivalent coupon issue yield on 91-day, 13-week Treasury bills as established in the weekly auction by the Department of Treasury. (6) The conditions the lessor must fulfill in order to have the escrow fund returned. At the time of the return of the escrow fund, the authorized carrier may deduct monies for those obligations incurred by the lessor which have been previously specified in the lease, and shall provide a final accounting to the lessor of all such final deductions made to the escrow fund. The lease shall further specify that in no event shall the escrow fund be returned later than 45 days from the date of termination. ‘Copies of the Lease’ must be kept in the truck and with the owner of the equipment if he or she is not the driver. Remember to check out the regulations for yourself and have someone that you trust go over it with you before signing a lease for the first time. Among the legalese in a lease, there are mines hidden that can cause your business to blow up or at least sustain damage if you cannot identify them before signing.